Insulation, when properly installed, is the most cost-effective investment a homeowner can make for a well-performing home. However, old, deteriorated, or improperly installed insulation can be one of the biggest energy robbers in your home. Efficiency and effectiveness of money- and energy-saving insulation depends upon the time being taken to ensure a proper thermal boundary has been set. This thermal boundary is the air barrier or the drywall inside of a house. 100% insulation contact must be everywhere from the attic walls to the floor for maximum efficiency and financial savings. When insulation does not 100% contact the backside of drywall, it creates a breach in the thermal boundary of the home. These breaches will rob the home of energy efficiency and cause the HVAC system to run much longer and much harder than it has to, increasing energy usage and heating and cooling bills. 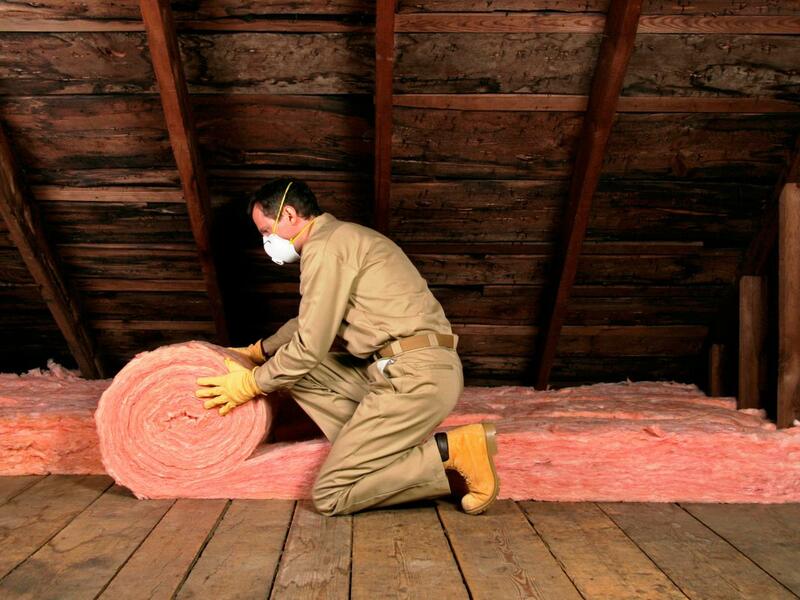 Installing insulation improperly or in the wrong order can cost you. For the best results, air sealing should always be done before new insulation is installed. If there are ducts in your attic, they should be arranged where blown-in insulation can cover them to increase the air conditioning and heating efficiency of the home. Batt material and roll-out insulation should never be used in an attic. If you have these types of materials in your attic, chances are pretty good that you have at least a 30% reduction of R value (insulation value) due to a loss of contact. Craft back, foil back, and plastic wrapped Insulation should never be installed in a retrofit application. It is too easy to install them improperly and cause moisture issues, along with other problems. Most homes that are single-story with non-vaulted ceilings are fairly straightforward, but can still present complex building envelope problems for a variety of reasons. This is precisely why the best course of action before you dive into an insulation project is to always have a BPI-certified building analyst look to see if there are any thermal boundary alignment issues. Homes with rich architectural detail, vaulted ceilings, multiple stories, or arches and soffits can be much more difficult to design proper insulation for. More often than not, these homes are rarely well-insulated; they can also be very tricky to design a proper thermal barrier for. The Insulation Experts at A-1 Guaranteed will properly prepare your space for insulation and will install it using the very best, most efficient techniques and methods in the industry. We will remove all existing insulation and sanitize the attic to remove all traces of any rodent waste or other harmful remnants. We then air seal the attic, which consists of sealing up all the wall plates and drop soffits. This prevents unconditioned attic air from infiltrating the home and adding to the load the HVAC system has to carry. In most cases, if the ducting is in the attic blowing R-44 insulation, it will bring up the R value of that ducting and reduce any thermal loss that otherwise would be present. For the floors of basements and crawl spaces, our professionals will install R-19 batt with wires or rods, and will air seal all plumbing pipes. This prevents the air from down there infiltrating the rest of the home. For the walls, we will open up a two-inch hole from the inside of the home on each joist bay. We usually do this 16 inches apart, then proceed to blow in a loose fill fiberglass insulation and then rough patch the hole – without tape, texture, or paint! Contact the experts in HVAC in Contra Costa and the surrounding areas today for all your insulation needs! Don’t trust something so important to just anyone; call us now and see what we can do for you!